Information about medications, health and wellness. Why use Compounding for Pain Management? Medications for pain management can cause many side effects and some patients do not tolerate them. Other patients may have other medical conditions that limit what medications can be taken, such as a patient with a history of stomach ulcers should avoid ibuprofen. Topical pain management is a great way to achieve regular pain relief without the limitations of oral medications. We formulate our creams in a transdermal base that will allow the medications to penetrate the skin and into the area of pain. This localized effect will reduce the amount of medication absorbed systemically dramatically reducing the adverse effects of the medications. We can compound multiple ingredients into a single cream allowing us to create a formulation based on your individual pain. Jensen’s Community Pharmacy in Saline Michigan is a locally owned and operated pharmacy. Our goal is to improve the health outcomes of every patient that comes through our doors. We strive to achieve this goal through our services, programs and dedication. Ability to pick up medications on the same day each month. Over the counter medication consultations. Full service pharmacy that dispenses both traditional medications and compounded prescriptions. 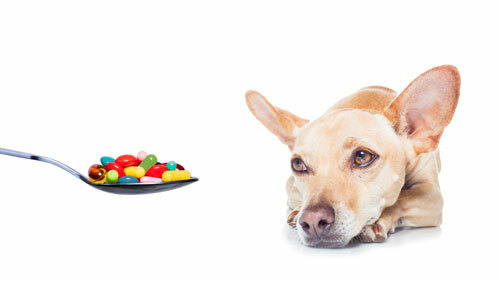 Pets many times need the same medications as humans to treat diseases. Often the commercially made medications may not be the correct dosage or not a dosage form that would be easy for the owner and the pet. Working with veterinarians we can create a medication that is the correct dosage and easy to give. Steve Jensen is passionate about treating animals of all sizes and shapes; he has completed 24 hours of continuing education to be awarded a Veterinarian Compounding Specialist by the Professional Compounding Centers of America (PCCA). Very friendly and knowledgeable staff. Excellent, high quality products in the store. Worth the drive to get to them. Excellent service, very friendly and knowledgeable staff! Great to find a compounding pharmacy so close to home. Great customer service. The pharmacist and his staff take the time to answer all your questions and concerns. Very professional and kind. Really smart team and easy to work with all of the time. Jensen makes it easy to spport a local business and not a chain. Great staff, very knowledgeable and friendly. So much better then cvs, they offer auto fill and text reminders along with prepackaged containers with all of your morning, afternoon and bedtime medication separated into a nice package you just open and take. No more count out pills and making sure you take the right stuff at the right time. They also do pet compound medicine so your pets will take their meds without having to force them to take it!